Planning your wedding and want the perfect complement for your wedding cocktail hour or reception? The Perfect Scoop is a delicious dessert option. 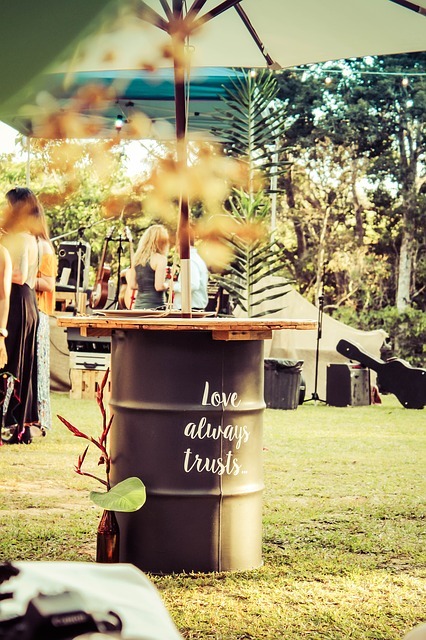 Make your wedding a truly unique and unforgettable experience. Delight your wedding guests with premium dessert catering service with The Perfect Scoop’s gelato cart for weddings. Our gelato cart for wedding service is uniquely tailored just for your special day. You and your guests will enjoy our delectable gelato flavours and professional catering service. Let your guests socialize and enjoy a perfect scoop of freshly-made gelato and sorbetto without you having to worry about the details. Tell us when, where, and what flavours, and we’ll give you and your guests a memorable – and tasty – treat for your wedding. Our handmade gelato is a perfect addition to your day. Let your guests enjoy these delicious treats while you’re off to take your wedding pictures. Or, savour these scrumptious flavours as part of your wedding reception dessert selection. You’ve just exchanged I dos, it’s a warm, sunny afternoon and your guests have an hour to kill whilst you’re off having photos taken. Enter our gorgeous gelato cart delivering your favourite flavours, wowing your guests and keeping them refreshed. Whether you’re forgoing tradition and skipping the cake or you want something to go alongside it, we’ve got you covered. Once they’ve worked up a sweat on the dance floor of course. Optional: Additional Customized Flavours, Customized Menu Board. Choose from any of our many gelato flavours or have us create a customized blend just for you. Don’t see a flavour you want? Let us know, and we can customize it for you. Ready to make your wedding day spectacular? 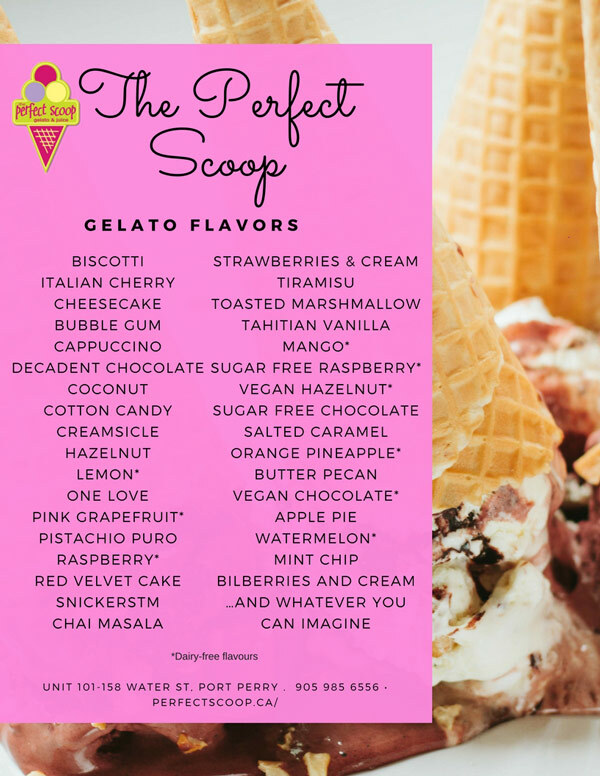 Contact The Perfect Scoop Gelato and Ice Cream and book your date before it goes. We offer our gelato cart for wedding service across Ontario. This includes but is not limited to: Durham, Scugog, Uxbridge, Whitchurch-Stouffville, Brooklin, Oshawa, Whitby, Simcoe, Peterborough and many more areas. Don’t see your city or town listed? 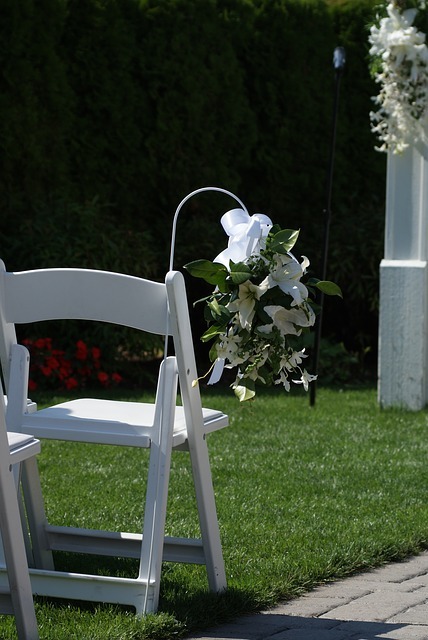 Give us a call and let’s discuss your wedding venue.